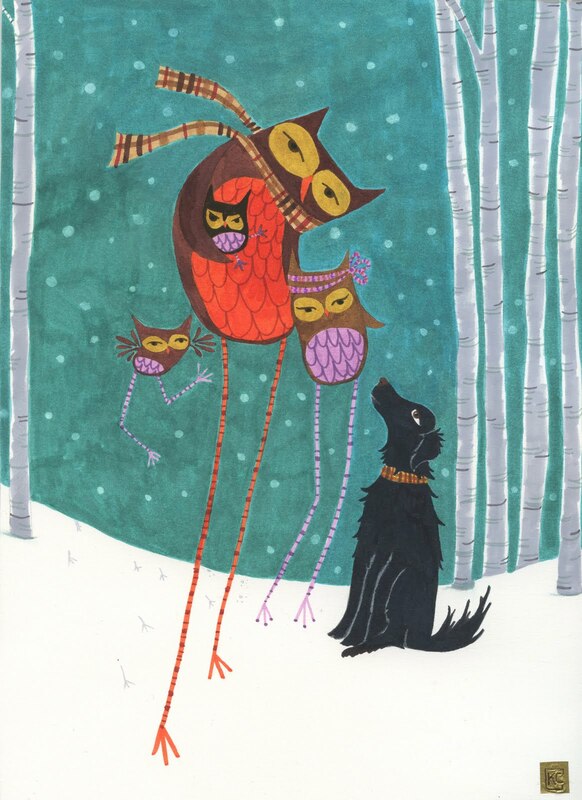 A client gave me one of the most fun requests this holiday season: give each member of her family an OWL-ter ego in a 9x12 fine art painting and prepare the image to be used on their Christmas card! Here is the result and I think it turned out pretty cool. In case you were wondering, the one daughter is showing off her jazz-hands... or in this case jazz-wings. The holiday shopping season kick-off is always bustling, which explains my online lag. I have two local live holiday shows going on RIGHT NOW, one @ Lansing Art Gallery, and one @ Grove Street Co-op. These are my last exhibitions until spring, so don't miss out! 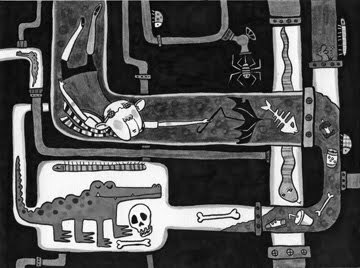 In the project hopper there will be lots of new illustration things to peek at very soon. Happy Thanksgiving, I hope you have an abundance of blessings to be thankful for! And don't forget to shop local this holiday shopping season. I recently helped pretty-up a smarty pants wall of the WRAC department (Writing, Rhetoric, & American Cultures) at MSU. Want to shop local this holiday season? 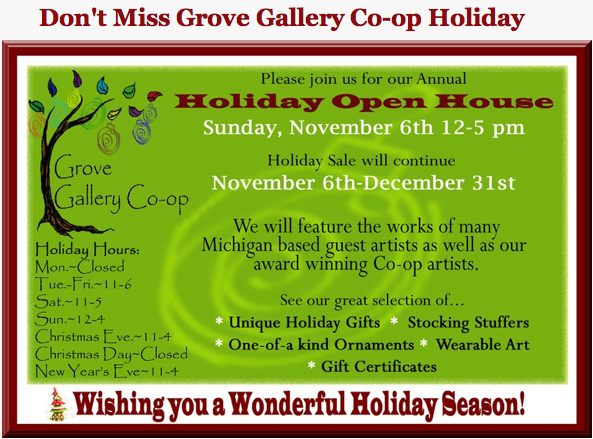 This Sunday from 12-5 the Grove Gallery Co-op kicks off their holiday sale! 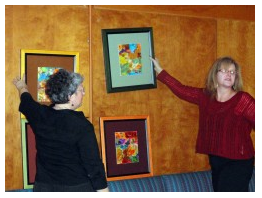 Michigan-based artists will be featuring their wares... Including me! For more info, visit the Grove Gallery web site now. Over a year ago, I joined a Facebook Group/online community dedicated to preserving the 'Upper Peninsula Snow Monkeys' (that's the Upper Peninsula of Michigan for the non-Michigander). These snow monkeys, much like the leprechaun, big foot or Nessie, are typically only visible to the truest believers. After joining this group, more specifically called 'Save the Upper Peninsula Snow Monkeys' they held an online t-shirt logo contest. I entered, I won and today I received my major award: a free-shirt tee-shirt! You too can join their F.B. 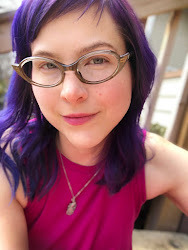 group, and contact them directly about buying your own monkey shirt. Because if there is one thing you can never have enough of, it's monkey shirts!